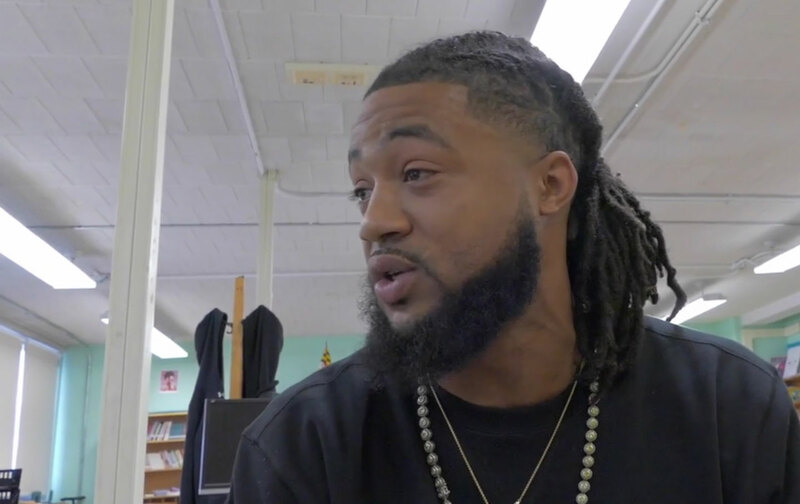 After Baltimore schools became refrigerators this month, former NFL linebacker turned art teacher Aaron Maybin went viral with a video detailing their conditions. Aaron is also the author of a book called Art-Activism: The Revolutionary Art, Poetry, & Reflections of Aaron Maybin. We speak to him about his own personal journey as well as issues of race, class, and education facing Baltimore. Also, we have a special Choice Words, written by journalist Lyndsey D’Arcangelo, about the serial abuse that took place under the auspices of USA Gymnastics. You don’t want to miss it! We also give a Just Stand Up award to the first openly gay athlete to compete in the Winter Olympics and a Just Sit Down award to Vice President Mike Pence, both of which are connected to each other. Plus, a very special Kaepernick Watch!